With the Wirral Metro Christmas Meet 2018 fast approaching please see below useful information. If you do have any further questions please email info@wirralmetro.co.uk. 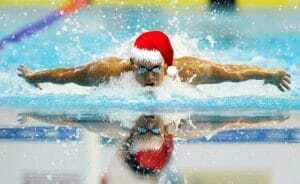 Wirral Metro has tried to accommodate as many swimmers as possible to the Christmas Meet again this year (morning sessions will belong, therefore we may have to incorporate a 10-minute break for officials) as we recognise this is one of the last oppurtunities to achieve County Times. Finish time for both days is anticipated to be between 5.00pm and 5.15pm but this will be confirmed later. With the above in mind, spectator availability will be limited, In plain terms there are 250 swimmers approx for each session if a parent comes with each swimmer they will not all get in. The ideal scenario would be watch your swimmer race and go last minute christmas shopping, but in reality I know that wont happen. As a consquence poolside and especially the balcony will beextremely busy, can I therefore again ask you to ask your parents/spectators to be tolerant, all helpers around poolside are volunteers and are here to makethe Gala run as smooth as possible. As you are probably aware, the costs for car parking at Europa is £4.50 up to 8 hours, there are local car parks within a 500 yard radius that are £2.00 all day Saturday and free on Sundays. Please be aware that the carpark wardens do start promptly around 8.00am and are as always veryruthless in their giving out tickets. One of the other local car parks is the Grange Shopping Centre CarPark – post code CH41 2RA. The above Car Park hours are Saturday 8.00a.m. Until 6.15p.m and Sunday 10.00a.m until 5.00p.m. Directions: – Turn left out of the Europa Car Park and proceed around 300 yards to a roundabout and take the 4th exit (basically coming back on yourself). You will see the signs on the left for The Grange Shopping Centre Car Park just before the bus terminus. Please advise of any withdrawals before the gala to wirralmetro@hotmail.com or text 07851 123514, before 22.00 on Friday 14/12/2018, otherwise fill the withdrawal form in on the day. We look forward to welcoming all to our meet. Whats bigger 8 or 2?